For me, the best part about playing with Cincinnati is that two of the horn players are very dear to my heart. There is my good friend Liz, of course, who I get to play with every summer at Brevard. And there is Lisa, who I hadn't really seen since we were at TMC together in 2001. A lot has changed since then! Today I got a chance to meet Lisa's beautiful son Hollis. He is an absolute joy, full of laughter and smiles. Hollis showed his excitement at meeting Piper by sucking on her ear. Piper was relieved when Hollis decided that she didn't taste very good after all. Lisa lives in a spectacular 4-story house on a hill in downtown. The view from her top floor is impressive! After the second rehearsal, Piper needed a snack so we went to Deeper Roots Coffee where they sell a variety of bird-themed treats. 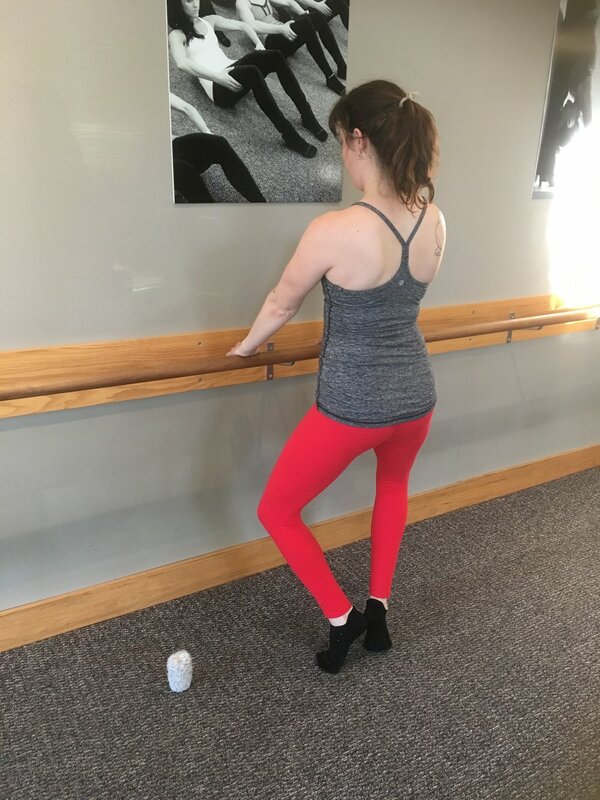 We finished off the day at Piper's favorite work-out studio, Pure Barre. She was a little disappointed that there weren't any sticky socks that fit her, but they let her in anyway.